In June 2016, I had the opportunity to do a week’s work experience with Rhun ap Iorwerth, the Assembly Member for Anglesey. I am a sixth form pupil in Ysgol Tryfan in Bangor, and I live in Menai Bridge, on Anglesey. Although I am not studying politics at school, the politics of Wales, Europe and the rest of the world has always interested me, and I hope to study politics at university, and possibly to go on to work in this area in the future. 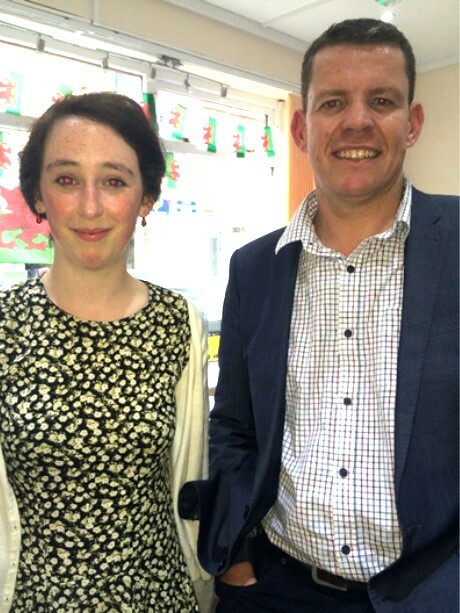 I wanted to do my work experience with Rhun ap Iorwerth because I was interested in seeing the day to day work of an AM, and to learn more about the world of Welsh politics. The week of my work experience was an important and interesting week in Welsh, British and European politics. The previous week, the United Kingdom had voted to leave the EU, and most of Wales’ counties had voted for this outcome. Because of this, I saw the more exciting aspects of an AM’s work, as important issues such as the EU were debated in the Assembly. I spent three out of the five days in Rhun ap Iorwerth’s Constituency Office in Llangefni, where I had the opportunity to write letters to constituents, and to hear their concerns and complaints when they came to the office. It was interesting to see how an AM and their support staff had to deal with a huge range of different problems, from small, easily solved local complaints, to concerns about important issues such as the result of the referendum, to which there were no easy or simple answers. This showed me that the work of an AM in their constituency was important, as well as the more obvious work they do in the Assembly. I spent the other two days of the week in Cardiff. This was the most exciting part of my work experience week. The offices were busy, and I had the opportunity to meet people whom I had previously seen only on television, including the leader of Plaid Cymru, Leanne Wood. I had the opportunity to watch a plenary session in the Senedd, and also a debate on the results of the referendum. It was interesting to see how people different views and opinions could discuss important issues like this in order to try to come to an agreement on what to do next to do the best for Wales. It was exciting to see discussion of such an important matter taking place while I watched, and to see how debates and discussions in the assembly worked. The public gallery was full, reflecting the importance of the discussion taking place, and it was obvious that everyone, including the public, had strong views on the issue. I also learned more about the way comities and cross-party groups are set up, their purpose, and how they work. This was an aspect of government which I had not thought about very much in the past, and it was interesting to see that debates in the Senedd are only part of what an AM does. It has been a very interesting and enjoyable week, and I now feel that I know more about the kinds of work that people working in the field of politics can do in Wales, and the experience has made me more certain that it is politics I would like to study in the future.